A statement by Zambales governor, Amor Deloso became hot topic when he revealed that the Chinese government is allegedly using Philippine soil extracted from the mountains of Sta. 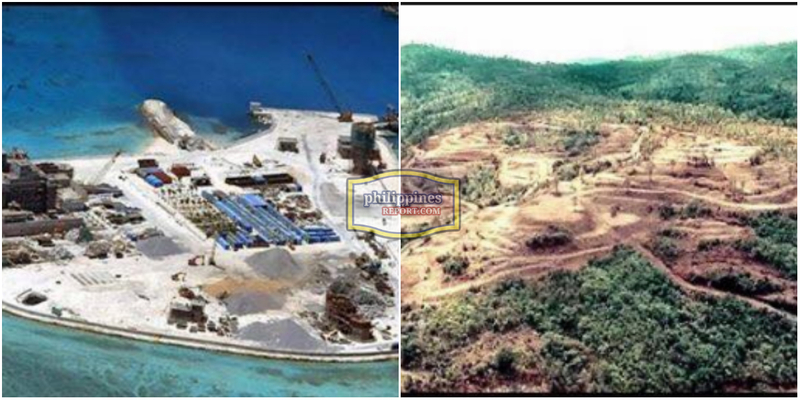 Cruz, Zambales to build their artificial islands on Scarborough Shoal. UNTV News & Rescue travelled to Zambales to personally confirm the claims of Gov. Deloso regarding the widespread destruction on its mountains. Together with local officials, the team visited LNL Archipelago Minerals Incorporated in Barangay Guinabon. From the entrance, one can clearly see that the foot of the mountain had been hewn out to create roads for heavy equipment. LNL ‘s Sta.Cruz Nickel Mining Project resident manager, Deody Solee confirmed that the soils extracted from their mines are being transported to China. However, Solee strongly denies they are being used on Scarborough Shoal. “There’s no truth to that. Can you imagine yung lupa ang itatabon nila dun, na madaling anurin ng dagat yun. So supposed to be, dapat ang nilalagay dun bato, para hindi mabubuwag yung kung itatambak nila dun sa dagat,” explained Solee. On the other hand, Governor Deloso said, the company should refute allegations on the issue. The UNTV team visited other mining companies operating in Zambales to verify reported damaging effects of mining activities on the environment. With the help of a drone, UNTV was able to capture the extent of damage that Eramen Minerals Incorporated and Bengetcorp Nickel Mines Incorporated have purportedly inflicted on two mountains in the course of their mining operations. According to Deloso, thousands of trees have also died including the endemic Mindoro Pine Tree. UNTV had tried to get a statement from Benguet Corp. Nickel Mines Incorporated but the latter refused an interview.